Legendary Caribbean pirate, Henry Morgan (Laird Cregar, Hangover Square), is appointed governor of Jamaica. 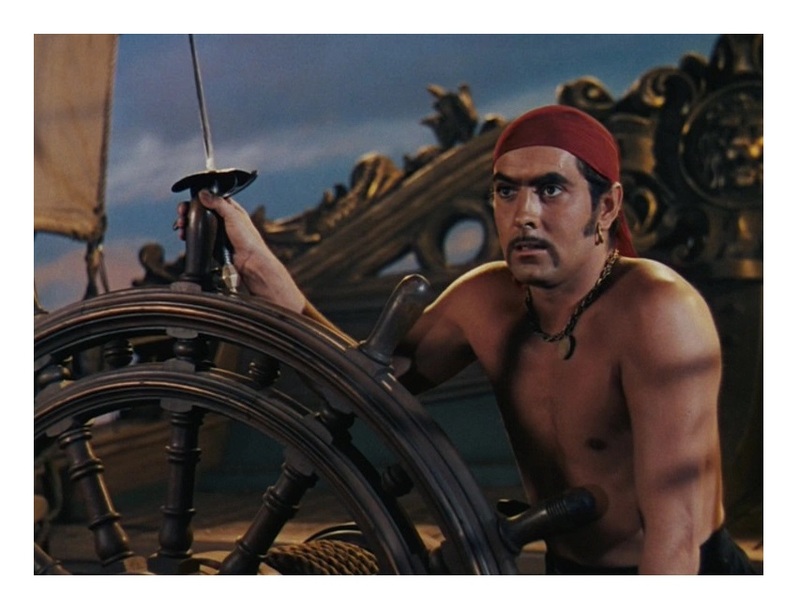 Morgan asks fellow buccaneer, Captain Jamie Waring (Tyrone Power, The Mark of Zorro), to help him bring order to the region. However, another pirate, Captain Billy Leech (George Sanders, All About Eve), intends to undermine Morgan’s peace efforts. Colorful, rousing adventure tale from a novel by Rafael Sabatini, the man behind such stalwarts of the swash and buckle genre like The Sea Hawk and Captain Blood (both books were filmed by Hollywood during its heydays). 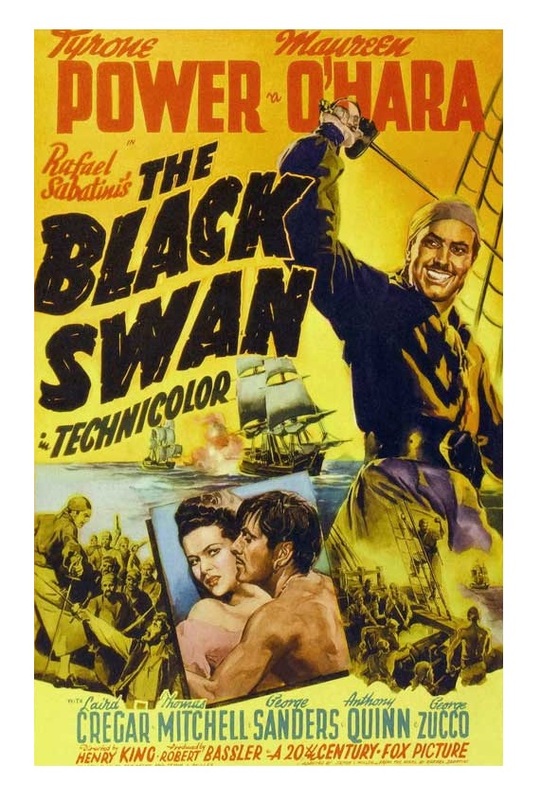 Directed by Henry King (Twelve O’Clock High) from a screenplay by Ben Hecht (Nothing Sacred) and Seton I. Miller (The Adventures of Robin Hood), The Black Swan was lavishly produced by 20th Century Fox. 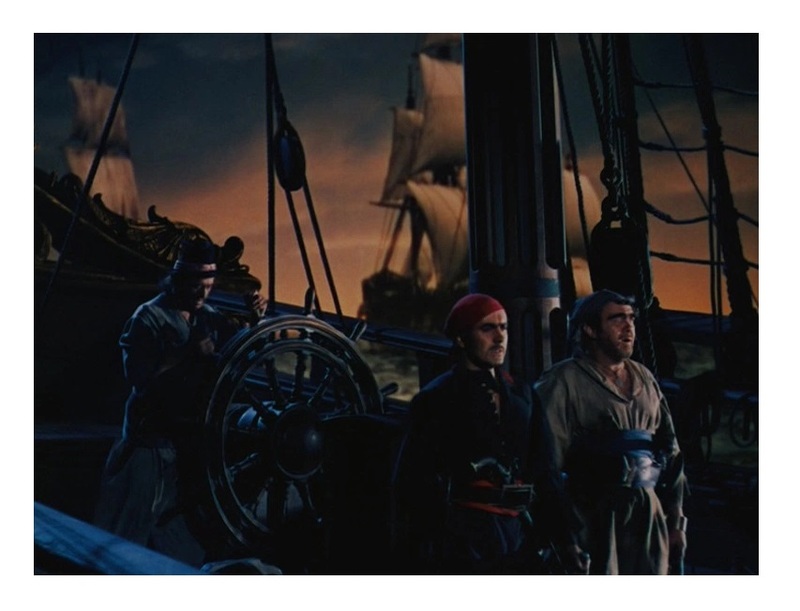 This opulent pirate movie gets lots of things right, but falls a bit short in some areas, specifically plot development. But the film’s strong production values conceal some of its imperfections. The narrative, which mixes real historical figures with fictional characters, isn’t all that interesting. The main character is not likable either and the patently obvious misogyny that runs through the story is a bit jarring at times — Maureen O’Hara (The Quiet Man), who plays Tyrone Power’s love interest, is abused throughout the film. 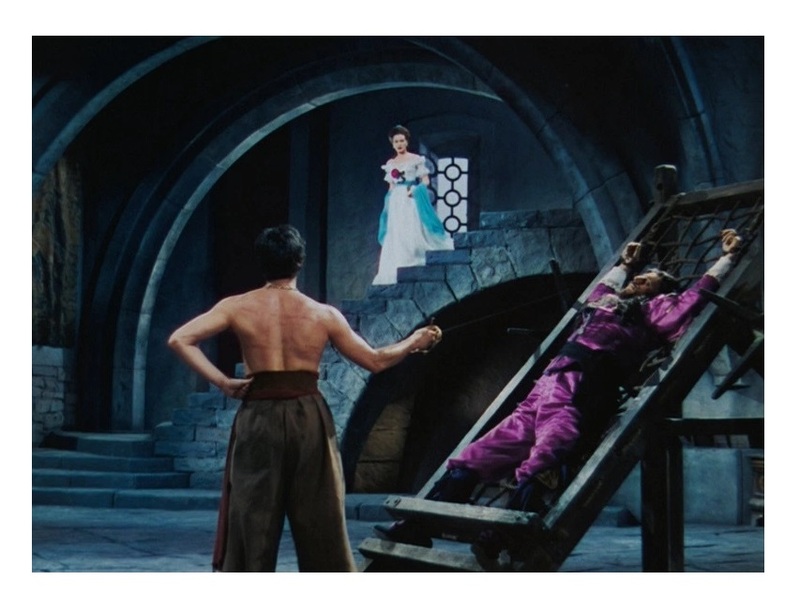 Leon Shamroy’s (Cleopatra and Planet of the Apes) beautiful, Oscar-winning three-strip Technicolor photography is the ‘reason de entre’ to watch the film — t’s as if you are watching some undiscovered Goya paintings. The sets, costumes, and special visual effects in The Black Swan are also fantastic. Alfred Newman’s (All About Eve and Airport) music score is pretty awesome too. Although Power lacks Errol Flynn’s irresistible cockiness, he is a plucky, dashing hero. Power has a memorable sword-fight with George Sanders (ironically, sixteen years later, during the shooting of Robert Aldrich’s epic Solomon and Sheba, Power died of a heart attack while completing a duel sequence with Sanders). Anyhow, Laird Cregar offers strong support as the charismatic Morgan, another great actor who died too soon. O’Hara is just eye-candy. The wonderful cast includes Thomas Mitchell (Stagecoach) as Tommy Blue, George Zucco (Joan of Arc) as Lord Denby, and a very young Anthony Quinn (Zorba The Greek) as Wogan. The Black Swan is not the best of its kind, but it is stylish and exciting, and the energetic cast makes this action movie fun to watch. Make yourself a cocktail with Captain Morgan and enjoy! 🙂 Color, 85 minutes, Not Rated. Anything with Laird Cregar > anything without Laird Cregar. Such a great actor! Superb in The Lodger, Hangover Square, etc. I’m a big Tyrone Power fan, but I have to agree with you that in this film he’s not as likable – despite the other excellent aspects of the film, like Laird Cregar. After all his abuse, it’s hard to believe she’d really fall for him. “After all his abuse, it’s hard to believe she’d really fall for him.” Exactly! That was my main issue with the movie. BTW, Maureen O’Hara gets abused a lot (in movies)! Swan, The Quiet Man, McLintock!, just to name a few. It’s funny how that happened so often in her career, since she’s usually associated with playing strong roles.